"After 10 years we got pregnant. They were twins. I was looking forward to being their mother, see them grow up. I never imagined losing one of them even before I got a chance to hold them. Now, there's a chance to save my only remaining child. I need help. I need all the help I can get." 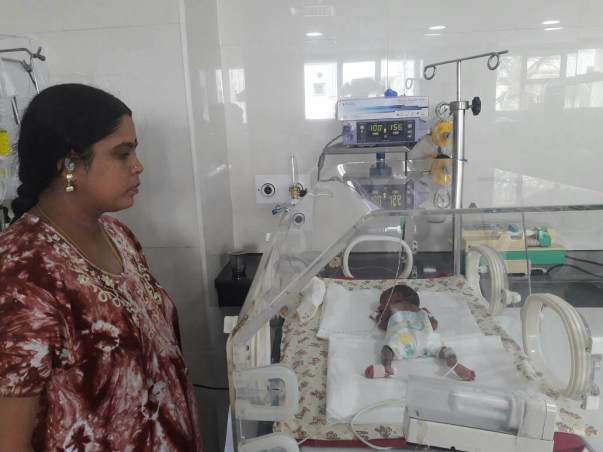 Kavitha was excited about her twin pregnancy but she did not expect that the sudden pain she experienced in her 7th month would mean premature delivery. Her twins were struggling to stay alive with tiny bodies that were not ready to brave the big scary world. One of them, the baby boy, unfortunately, lost his fight on June 6th. The girl is fighting with all her might to make it. "We are from Bangalore. My husband is a welder. He gets Rs. 300/day. For two months now, he has been at home caring for me. We have longed to have a baby. So this pregnancy was very very important to us." As soon as they were delivered, the twins were moved to Kanchi Kamakoti. They were in a critical condition with respiratory distress and infection. Under 750g, they were not feeding, and needed respiratory support. 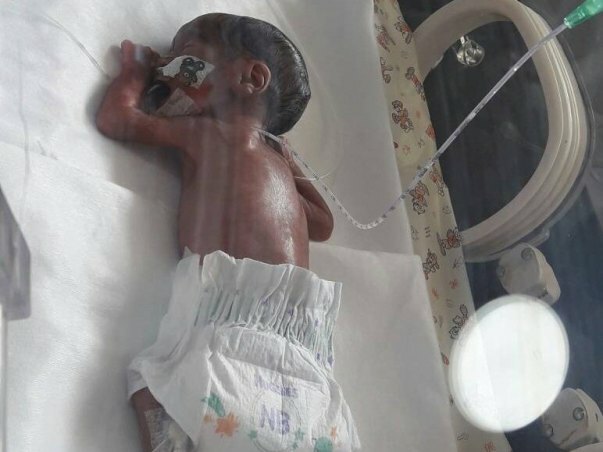 After 2 weeks of treatment, the baby boy's condition got more critical and there was nothing doctors could do to save him. The baby girl, still underweight is in the NICU. 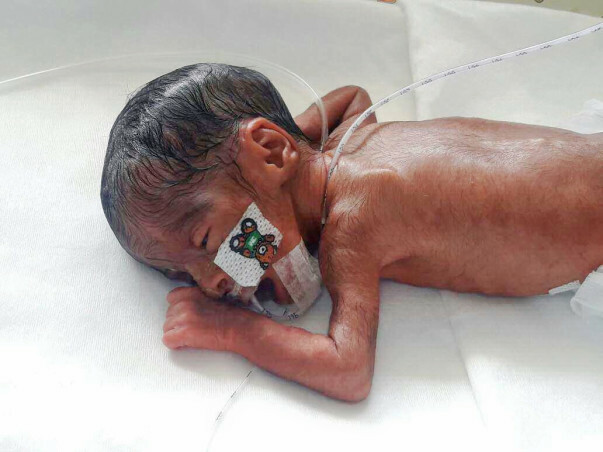 She has just begun to feed, and is getting stronger.was nothing doctors could do to save him. "I have not held either of my babies. In fact, only after we pay the bills they will release my boy to us so we can perform his last rites. I don't even get to feed my child. She has a severe infection. She is fragile. In the NICU, I get to see her behind a glass just a few times a day, only when they collect milk to feed her. My husband sees her only once a day. This is the worst punishment a parent can get. Isn't it enough that we waited 10 years for them? Does God have to make us suffer more?" This family is staying at a relative's place in Chennai so they can stay close to the baby, and care for her. It is painful to be away from her. Kavitha is still recovering from childbirth. This trauma is taking an emotional and physical toll on her. Sometimes she can hardly comprehend things happening around her. She keeps saying, "I cannot hear. What's happening? I don't understand." A minute later, she breaks down and starts screaming hysterically, "Please do something and save my one remaining child! Please don't let her die too!" 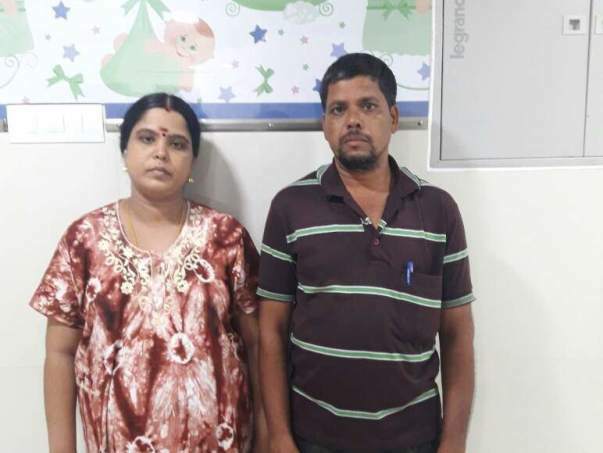 This is the worst nightmare for any family, especially Kavitha and Ashok as they have waited a long time for a dream to come true. They need your help to save this baby girl.